Email is the best method for reservations or for general questions. Mystic Mountain Retreat provides pet care for the Seattle area including Bellevue, Redmond, Kirkland, Bothell, Woodinville, Duvall, Snohomish, Everett, the Sky Valley & beyond!!! 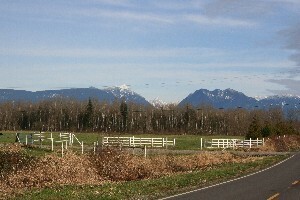 We are located 7 miles from Monroe midway between Monroe and Sultan off the Ben Howard Rd, on the south side of the Skykomish River. It is a beautiful country drive. Please use the Mystic Mountain Directions or if time is limited you can check out Shuttle and taxi service available by select partners. We look forward to caring for your dogs, cats and other fur kids. We love to give tours of the ranch and you can schedule reservations a year in advance or call to see if we have availability for the next day. Please send an email with your name/phone/email address, the names/breed/age of your animals, dates of your trip (if known), when you would like a tour and any information that will be helpful. We will send you back an email with next steps, documents and scheduling information. If time is critical please email, text, and call both numbers. Got Dogs & Cats ??? Live in the Seattle, Bellevue, Redmond, Woodinville, Duvall or Monroe area? 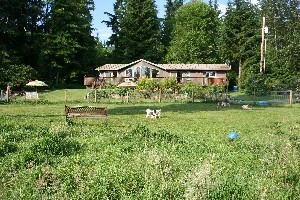 Cindy Hill created Mystic Mountain Pet Retreat in 2005 to provide holistic dog boarding and natural cat care while people travel. Our dog care provides private suites with community or independent play. 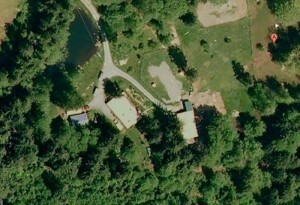 Here at Mystic Mountain Pet Retreat each guest is treated as an individual to ensure mental and physical happiness and well-being. Find Dog Care book, by Cindy Hill. "Got Dogs? 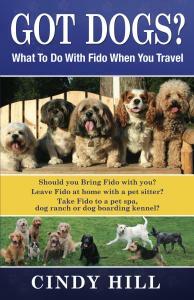 What To Do With Fido When You Travel" Should you Bring Fido with you? Leave Fido at home with a pet sitter? Take Fido to a pet spa, dog ranch or dog boarding kennel? To view on Amazon just click on the book image. Loving dog boarding & pet care at our ranch in Monroe Washington; serving Seattle, Bellevue, Redmond, Kirkland, Woodinville, Duvall, Bothell, Sammamish, Snohomish, Everett and beyond!